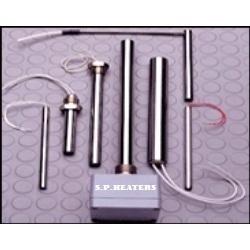 Our company offers an exclusive range of Cartridge Heaters to our respected clients. These are manufactured using premium quality raw material. Our range of products includes Low Density Cartridge heaters, High Density Cartridge heaters, Split Type Cartridge heaters and Ceramic Cartridge heaters. 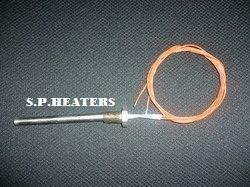 We are the leading manufacturer of a wide range of High Watt Density Cartridge heaters. Constructed using chromium nickel resistance wire, these are offered in various length, supply voltage and diameters, Terminal wire single and double lead also. Our range is widely praised for its heat transfer process, durable construction and utmost sheath temperature. These are highly used in Food processing machinery, packaging machinery and hot stamping.We manufacture as per the customers requirement . 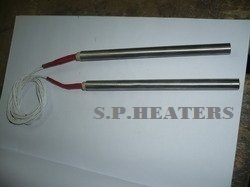 The team of our company offers an ample range of split type cartridge heaters to our customers. These are suitable for high temperature and widely appreciated for its heat transfer process and resistance free feature. 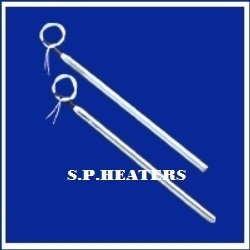 Our heaters are widely utilized in blow molding and injection, extruders and soldering pots. Furthermore, our clients can avail these products at market leading rates. 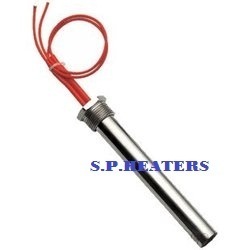 We are the leading manufacturer of a wide range of High Watt Density Cartridge heaters. Constructed using chromium nickel resistance wire, these are offered in various length, supply voltage and diameters, Terminal wire single and double lead also. Our range is widely praised for its heat transfer process, durable construction and utmost sheath temperature. These are highly used in Food processing machinery, packaging machinery and hot stamping. Backed by our industrial experience, we offer a bulk range of Low Density Cartridge Heaters to our distinguished clients. 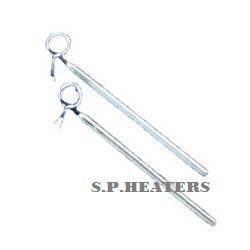 We offer these heaters in high, medium and low density with inner outer connected leads. Available in the features of braided wire with uniform temperatures, these can bear temperature 2000c for brass tube and 4000c for SS tube. These are widely used in hot plates, shoe machinery, medical equipment and other related industries. 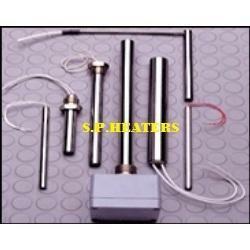 We are the leading manufacturer of a wide range of High Density Cartridge heaters. Constructed using chromium nickel resistance wire, these are offered in various length, supply voltage and diameters. We are also Manufacture as per customer's requirement. 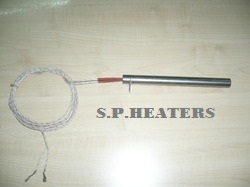 We are the leading manufacturer of a wide range of Nickel Wire Cartridge Heaters. Constructed using chromium nickel resistance wire, these are offered in various length, supply voltage and diameters. Our range is widely praised for its heat transfer process, durable construction and utmost sheath temperature. These are highly used in Food processing machinery, packaging machinery and hot stamping. We are the leading manufacturer of a wide range of High Watt Density Cartridge heaters, Low density cartridge heater, Split type cartridge heater, D type cartridge heater. Constructed using chromium nickel resistance wire, these are offered in various length, supply voltage and diameters, Terminal wire single and double lead also. Our range is widely praised for its heat transfer process, durable construction and utmost sheath temperature. These are highly used in Food processing machinery, packaging machinery and hot stamping. We manufacture as per customer requirement. · Sheathing material : SS 304 and SS 316. · Maximum sheath temperature 800oC. · Rugged & durable construction. · Highly compacted construction improves heater life and reduces the effect of vibration and shock. · Labeling machineries and a lot of other applications. Backed by our industrial experience, we offer a bulk range of Low Density Cartridge Heaters to our distinguished clients. 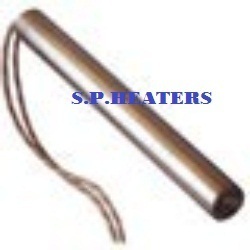 We offer these heaters in high, medium and low density with inner outer connected leads. Available in the features of braided wire with uniform temperatures, these can bear temperature 2000c for brass tube and 4000c for SS tube. These are widely used in hot plates, shoe machinery, medical equipment and other related industries. We are also manufacture as per the customer's requirement. We are the leading manufacturer of a wide range of High Density Cartridge heating element. Constructed using chromium nickel resistance wire, these are offered in various length, supply voltage and diameters, Terminal wire single and double lead also. Our range is widely praised for its heat transfer process, durable construction and utmost sheath temperature. These are highly used in Food processing machinery, packaging machinery and hot stamping. We manufacture as per customer requirement. 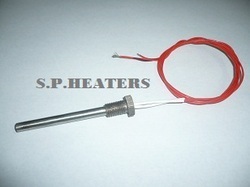 Looking for Cartridge Heaters ?